Brighton has a well established reputation for being ‘alternative’. The city returned the country’s first Green MP and the first green-led council, and it was among the first councils to reinstate the committee system. Now the minority administration is vying to become the first to put a council tax rise decision to the electorate. Whether by design or not, the party that has traditionally shunned leadership is at the forefront of a debate that has wide-ranging implications. This is a battle for localism – for the right and the ability of local councils to set local tax to fund local services according to the priorities of local people. It is a classic David and Goliath battle: the minority council, painted in the media as somewhat oddball, dares to take on the commonly held assumption that the public wants Scandinavian services for American taxes. It is a high stakes game. The bar is almost impossibly high. As if asking people to vote for higher taxes were not enough, there is the unpalatable question of the cost of running the referendum, the lack of flexibility in the wording of the referendum question, the need to spend more money campaigning, and the obligation to poll the whole electoral roll, not only council tax payers. Yet Brighton’s Greens, who unlike other councils are not tied by national party conventions, are the first to to be brave – or insert another adjective if you prefer – enough to put their convictions to the test. They face two major hurdles. First is to get the plan through the council. The Greens hold 21 seats but Labour (14) and the Conservatives (18) do not support it. As Green leader Jason Kitcat says, it is technically possible if some dissenters abstain. In the unlikely event the plan is passed, the public will be an even greater test. A ComRes opinion poll in Octobersuggested the Greens would come third if an election was called, and Brighton’s own consultation on support for a rise was far from conclusive. Only 6% of the 659 respondents supported a rise outright and half said they would support a rise under some circumstances at some point in the future. 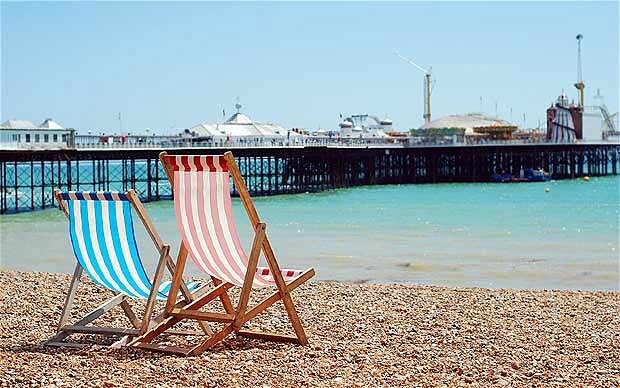 A referendum in Brighton would truly be democracy in action. Whatever the outcome, this is a historic case. The local and national news stories will go some way to disabusing people of the common perception that council services are funded entirely from council tax, and will ensure that more people are aware of cuts to central funding. If a referendum were to be held a ‘no’ vote would probably finish off Britain’s first Green administration. But it could also open up a conversation about publicly sanctioned services cuts – and a debate about the role of local government in future. A ‘yes’ vote, meanwhile, could change the whole dynamic between central and local government, and between voters and the council. The implication would ripple much further than Brighton’s beaches. The latter scenario is unlikely. But if it can happen anywhere, it would be Brighton. The cynicism of the Con Dem government is staggering. It has deliberately driven Councils and Communities to desperation by cutting their budgets, and now it is bribing those same struggling Authorities to give permission for fracking that local communities have clearly rejected. If they do as the Government demands, turn a blind eye to the hazards, and the opinion of the electorate, they will be rewarded with extra cash from the fracking companies. Like some medieval torturer who, having starved his victim allows the smell of a succulent meal to drift into the torture chamber, so the Government waves the promise of cash at these desperate Councils. Inevitably this action will weaken further the trust between Councils and their electorate, as the Tories intend – residents will never be sure if a permission was given in the best interest of the community and country, or for the cash. Cameron is now just acting as the industries mouthpiece. On the very day Total, the French energy company who are unable to frack in their own country because the French Government has banned it, announced a £30 million stake in UK fracking, he turns up at a drilling depot in Gainsborough. It just happens that Total have taken a stake in the companies that have exploration licences in Gainsborough. Doing the job of a company PR spokesman, he dutifully reiterated the claim that fracking will produce much needed investment, create jobs and lead to energy security, and that our robust regulations make it completely safe. There is no justification for any of these claims. They come from, a report commissioned by the frack company Caudrilla, headed by his friend Lord John Browne, ex of BP, that suggests that Britain can benefit by £3.7 billion a year extra revenue and 74,000 new jobs. These figures are just guesses. The 74,000 job claim included the extra staff needed in local shops to serve the security guards buying sweets! One wonders just how many of these 74,000 people will be security guards, such has been his governments and the industries failure to convince the British public that we need fracking. To talk up the robust environmental regulations in the UK is to ignore the fact that the Conservative Party is doing all it can to abolish these regulations as ‘red tape’. It also conveniently ignores the fact that if the Transatlantic Trade and Investment Partnership negotiations with the USA that they are so keen on, does get the go ahead from Europe, then all such regulations will prove to be useless. Governments will do all they can to minimise green regulations for fear of being sued by corporations for loss of profit. The dash for gas is a high risk strategy, not one that can lead to energy security. It is not known how much gas can be won or at what price. The demand for water will be colossal and will lead to escalating domestic water bills and water shortages. The cost of the disposal of trillions of gallons of polluted waste water is unknown and we can’t be sure that we, the tax payer won’t be left with the disposal bill. The same applies to the costs of the pollution incidents that will inevitably occur. And the gas will run out but we will be tied to a gas energy infrastructure, then what? The one claim, that Cameron didn’t make and that has been quietly dropped by the industry is that fracking will lead to cheap energy. It will do nothing for energy costs since the gas, if it is ever produced will be sold on the open market just as the North Sea oil was, and we British consumers will have to pay a premium price, as we did for North Sea oil, so that the big energy companies can maintain their bloated profits. In all, this is a thoroughly bad deal for the British energy consumer and tax payer. The only beneficiaries are the big energy companies and their shareholders who will send their profits off shore. It is an even worse deal because there is a real deal available that would give us affordable and secure energy. This is to use the free energy that blows over our heads, laps on our shores and shines in our faces. Yes, the wind, the sun and the tides are free energy, all we needed to do was invest in the infrastructure to capture them, store the energy as necessary and distribute it. No big deal any of that, just use the technology that’s already there. But, no one can take a monopoly on the wind, the waves or the sun, no one can threaten to divert it or switch it off if they don’t get their own way. No one can put it in a barrel or down a pipeline and sell it back to us at a profit. So this Government of millionaires, for millionaires isn’t interested. 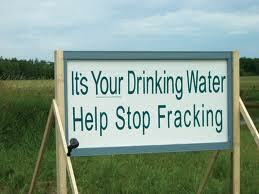 There is only one Party seriously opposing fracking and that is the Green Party. We also have a clear and workable alternative energy strategy that would end fuel poverty and our reliance on fossil fuels. The only thing that will make the main parties rethink their fossil/nuclear energy [policies is a big green vote. Work with us to make this happen. to rapidly decarbonise the UK’s energy system. Clr Andrew Cooper, speaking for the Green Party on Energy said “Today’s Government move is nothing less than a bribe to councils to accept the highly unpopular and environmentally damaging shale gas extraction. This is taxpayers’ money to bribe councils into easy acceptance of a highly polluting industry and it’s a major subsidy to the industry. “Last month, Government seriously scaled back support for people to insulate their homes, promoting it as £50 off household energy bills – money which most people will never see. Drastically cutting the Energy Company Obligation to improve insulation in homes, means it is clear that Government has no interest in helping householders control their energy demand. “The Coalition’s Green Deal is a dismal failure. “The real deal is a proper ‘Green Deal’. The Green Party says, Let’s have an industrial strategy that creates hundreds of thousands of renewable energy jobs, and which properly invests in energy efficiency measures for households so they can reduce their energy needs. Permanently. “Greens note that Cameron makes no claim any more that fracked gas will reduce fuel bills for householders and it is clear that it will have no benefit for those households in fuel poverty. Peter Cranie, North West Green Party European election candidate said: “The government is now resorting to effectively bribing local residents in a desperate attempt to impose fracking on our communities. This money is being snatched from vital public services, already under huge pressure due to government cuts. The Government has renewed its push to promote controversial “fracking” for shale gas, as French energy giant Total confirmed it was investing in the industry in the UK. Prime Minister David Cameron announced that local authorities in England would receive 100% of the business rates collected from shale gas schemes, rather than the usual 50%. It is the latest move by the Government to promote the exploitation of unconventional gas in the UK, which the Prime Minister claimed could bring the UK 74,000 jobs, more than £3 billion of investment and cheaper and more secure energy. But environmentalists criticised the business rates incentive as a “bribe” to reluctant local authorities. And they warned that it raised serious concerns over conflicts of interest if the councils benefiting from the money were the ones deciding on planning applications. Opponents fear fracking, a process in which liquid is pumped deep underground at high pressure to fracture rock and release the gas in it, for shale gas will lead to the development of industrial sites and disturbance in the countryside. Fears have also been raised over the potential for small-scale earthquakes and water pollution, and that a drive to exploit new gas reserves will turn the focus away from efforts to develop a low-carbon economy to tackle climate change. Protests against a proposed fracking site at Barton Moss in Salford, Greater Manchester, have continued for almost seven weeks, with campaigners claiming hundreds of people turned out over the weekend to voice their opposition to the development. On a visit to Gainsborough, Lincolnshire, in the area Total will be looking to develop shale gas wells, Mr Cameron defended the plans to push ahead with fracking, saying environmental concerns would be assuaged once people saw the benefits. He said: “We have the strongest environmental controls in this country. Nothing would go ahead if there were environmental dangers. I think people can be reassured by that. Kathryn McWhirter, from Balcombe, West Sussex, where protesters took direct action while energy company Cuadrilla conducted exploratory drilling at a site on the outskirts of the village last year, claimed Mr Cameron was giving out more misinformation on fracking to the British public. She said: “First, he said shale gas would lower prices and create vast numbers of jobs. “Both claims have been shot down by his own advisers, yet he continues to repeat them. “Now he wants to bribe local people and council planners – what a conflict of interest, what desperation. Officials said the commitment on business rates would mean councils hanging on to up to £1.7 million extra a year from each fracking site. The industry has already pledged to give local communities £100,000 for each test drilling – and a further 1% of the revenues if shale gas is discovered. And today it was announced that the industry would further consult on how to deliver the money to communities, with options including direct cash payments to people living near the site or setting up of local funds directly managed by local communities. The Local Government Association’s Mike Jones said that given the tax breaks proposed for shale gas and the impact it would have on local companies, payments should be higher at between 5% and 10%, in line with other parts of the world. The community benefits of fracking should be enshrined in law, so they could not be withdrawn, and community payments should go into a charitable sovereign fund to be spent on local priorities, he argued. But Green Party MP Caroline Lucas said that encouraging fracking by offering “bribes” to councils, and handing tax breaks to fracking companies, was ” beyond irresponsible”. Friends of the Earth’s Jane Thomas said: “This latest Government move highlights the depth of local opposition to fracking and the desperate lengths ministers are prepared to go to overcome it. “People are right to be concerned about the impact of shale gas extraction on their communities – especially as experts say it won’t lead to cheaper fuel bills. “This move raises potentially serious concerns about conflicts of interest, if councils that benefit from this money are also the ones who decide on planning applications from fracking firms in the first place. Energy Minister Michael Fallon said the 100% business rates incentive on offer was the same as for renewable technologies, such as wind farms and solar energy. But Anna Jones, climate campaigner at Greenpeace, said: “Comparing the incentives for renewable energy to the naked bribery of the Government’s business rate bung simply isn’t comparing like with like. “Renewable energy is a proven energy source that will not damage the environment. Compare this to the environmental damage and disruption that fracking for a dirty fossil fuel would cause, and which may be too costly to extract. Opposition to fracking has not stopped interest from oil and gas companies in exploiting potential shale gas reserves across swathes of the UK, with Total announcing its investment today. The company has taken a 40% share in two gas exploration licences for drilling in the Gainsborough Trough, in an area between Doncaster and Lincoln. Total, which is already involved in shale gas projects in the US, China, Australia, Argentina, Poland and Denmark, described the move as an important milestone for the company in the UK. The initial exploration will be conducted by partner IGas, and Total will take over operations as the project develops. The project is part of £1.2 billion annual investments in oil and gas production by Total E&P, which is set to make it the largest oil and gas producer in this country by 2015. You are currently browsing the The Northants Green Party Blog blog archives for January, 2014.